Olivet Institute of Technology is offering advanced courses this semester in web services and programming. Building on competencies developed during the previous semester in WE 320 Website Technologies & Development and WE 420 Web Server Design & Development, students are engaging in projects that integrate higher level web applications. A student research team is leading the way, with projects that cover advanced topics and provide a variety of useful web services supporting University systems. 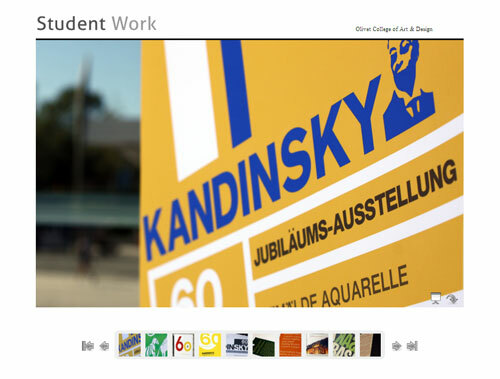 One such project is the Online Art Gallery, seen here. The gallery was developed by student researchers for Olivet College of Art & Design. Faculty mentor and Dean of Olivet Institute of Technology Dr. Ching Cheng Lee is guiding the students’ research. Students praise him for his enthusiastic interest and support in developing their programming abilities with challenging research projects. This semester Dr. Lee is holding a weekly seminar on web service technology.